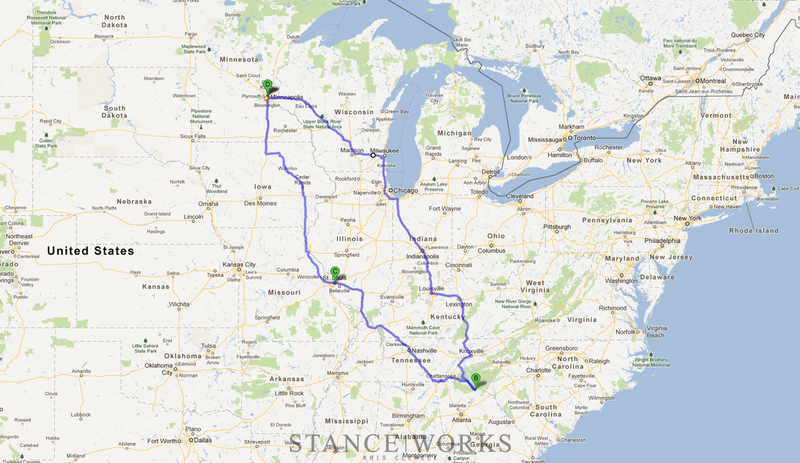 When you think of making a 2500 mile road trip across the United States you don’t generally think of hopping into a 41 year old car equipped with no air conditioning, no cruise control, no radio, and seats that don’t recline. When planning my trip, I reminded myself (and convinced my pregnant wife) that at one time, no one had air conditioning. Apparently earlier in motoring history, every trip to anywhere was fraught with misery and despair. People rarely left their homes before air conditioned vehicles, and without cruise control they often strayed no further than the local super market. With the fear of certain destitution, I packed all the survival provisions necessary, left a will on the kitchen table deeding my 911 to my younger brother, and hit the road. Obviously none of that is true. There was once a time that people drove thousands of miles without any of the amenities that today’s generation of drivers is used to. As a young one, I remember driving through Kansas, dodging tornadoes with my grandparents at the height of summer. No air conditioning. I highly doubt we always had cruise control either and yet here I am today, brimming with positive family memories about vacations which all involved long road trips in the '80s. I’d be the first one to admit that I stood naked in front of my air conditioner when I got home a few weeks ago, but when did we turn into a culture where we need to be coddled by engineering? Do we really need need air conditioned seats and doors that close automatically? Is there a point where 500-and-some-odd speakers is really that much better than just rolling the windows down and listening to the world? Is my rant getting out of control? The point I am trying to make, if you haven’t pulled it in thus far, is that the demands of owners today are far removed from owners 40 years ago. The most common question I got on my road trip, other than what year my car was, was if I was hot, and how I was handling driving what obviously must be the worst road trip car ever. I of course got the "nice car" thing, but they presumed I couldn’t wait to get home. I feel bad for them. They have no idea how boring their cars are. 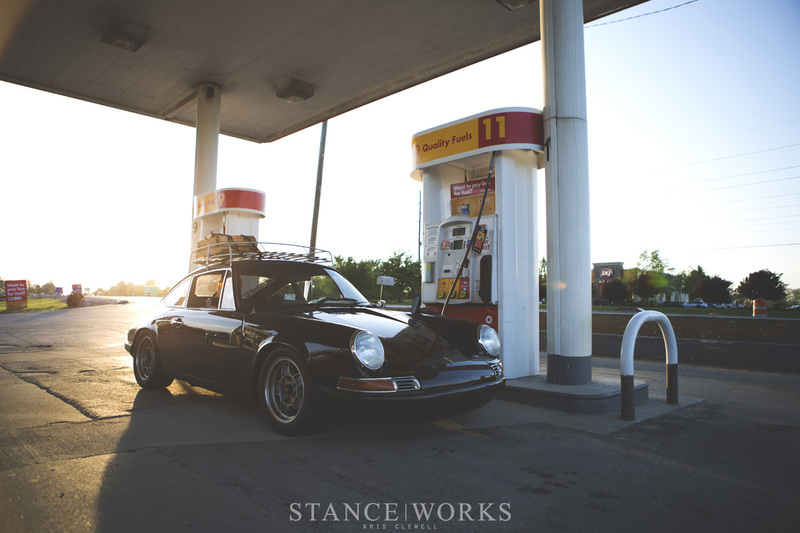 Before any long road trip, whether it be in a 911, or a Golf, I take a good look at the car. A general rule is to not mess with a car too much before you leave on a long trip. I had a sloppy gas pedal. It didn’t really affect the mechanical ability of the throttle, but it bothered me. Upon investigation I noticed some bushings had perished, and what I thought would be an easy fix turned into a marathon session of adjusting the ball joints to no avail. I had no idle, and no wide open throttle once the bushings had been replaced. I took the car to a nationally known local shop, Flat Six Inc here in Minneapolis. Owner Aaron Hatz made short work of the job, noting someone had bent the long rod that goes to the gearbox to make it work with the engine swap. The car has an early big-port 8.5:1 compression 3 liter out of an SC. With CIS for the fuel management, it was great to have someone dial in the proper specs. For the most part, CIS is a fantastic fuel system even by todays standards and is a good compromise between fuel economy and power. Though its usually reliable, CIS can be dodgy, and full of puzzles you can only solve through experience. Aaron also spent the time to adjust the fuel and the timing, both of which were off. Timing by 6 degrees and the fuel in the rich direction. Despite knowing the car would be filthy before it was even halfway there, I always detail the car before I leave. Nothing beyond a wax and vacuum, but its important, and easier to keep clean throughout the trip if its clean to begin with. I dropped tools into a (very not waterproof) surplus ammo box, strapped them to my roof rack and struck out for our first stop in Wisconsin. We left on a Monday. I needed to be in Helen Georgia by Thursday afternoon for a car show. This gave me just over 3 days to drive 1250 miles. My wife drove separately in a 1983 Mercedes 300d I had been fixing up and was dropping off in Milwaukee (330 miles) for my grandfather. Two hours or so into the drive and she was already done. Heartburn or some other pregnancy thing I obviously can’t relate to hit and we stopped. I feared we would never get to Helen. Tuesday went better, and we arrived in Milwaukee to drop off the Benz. On Wednesday the road opened up for us. Driving without a large group of people or club has it’s benefits. We stopped anywhere we’d like. Antique shops, historical markers, scenic spots, and the rest of the things that have been overlooked since the great American road trip apparently died. The rush from point A to point B in X time has ruined the best part of a road trip: discovery and exploration of places you’ve never been. The 911 was a bit of a handful at times. My car is sans a front oil cooler. 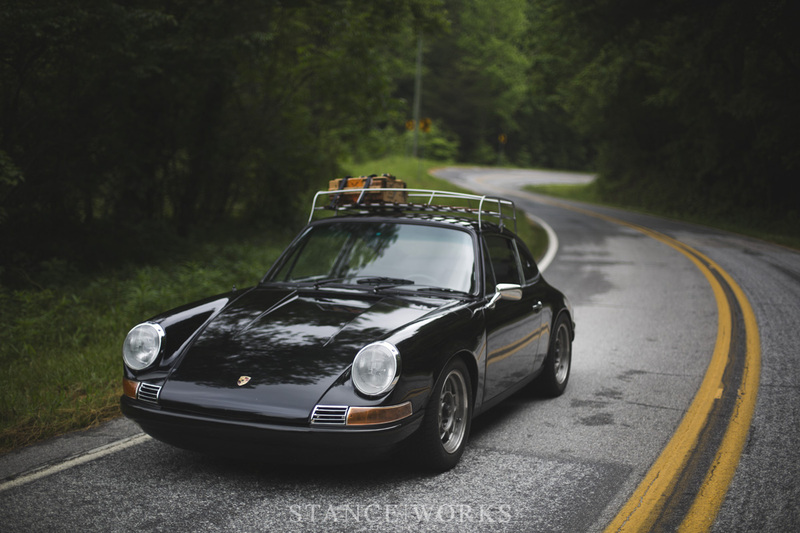 Most 911’s from the SC and on have one, and usually its pretty easy to retrofit a later cooler onto an older car. Since my car is a ‘72, my oil tank is mounted forward of the rear wheels, and is filled externally. It’s a one-year-only option that makes fitting a later oil cooler difficult. Oil temperatures stayed around 230-245 degrees: Hot. Driving slowly was mandatory. The short early 915 gearbox combined with no front oil cooler meant the oil temps walked if I pushed too hard. I stopped at a hardware store and bought a laser IR thermometer to confirm the temperatures were indeed as high as they were. In proper German style, the gauge could not have been more accurate. I was running Liqui Moly GT1 10w60 race oil, as oil is the life blood of an air cooled engine; however, my fears were assuaged when talking to Liqui Moly themselves at Southern Worthersee. This oil does run a little hotter than normal, but is built for the long haul, and serious abuse. On Thursday we climbed out of Kentucky, and into Tennessee to an elevation of 1,756 feet at Deals Gap. Cooler temperatures meant I could run a little harder. 11 miles long, and packed with over 300 curves, the “Tail of the Dragon” is an intimidating road. 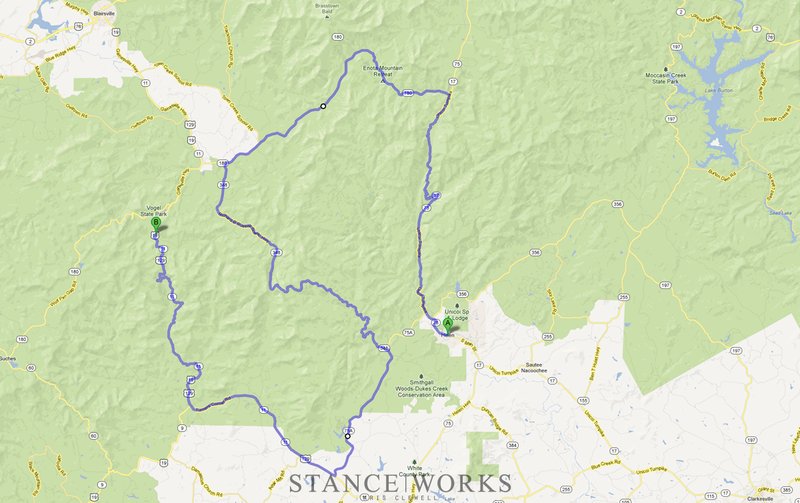 Tagged with signs as US 129, and Tapoco road, its certainly one of the most technical roads I’ve ever driven. The real problem however, is that the road is filled with motorcycles and recreational traffic. Unending unbroken double yellow lines don’t stop motorcycles from attempting to pass, and in a standard vehicle, there’s no chance of passing anyone. The stretch of road is torqued fairly tight: there’s no room to advance the gearbox, and the variety extends very little beyond sawing at your steering wheel from left to right while going over crest after crest. Constant gear changing from 2nd to 3rd and back gets tiring. I had difficulty finding rhythm, and the constant worry of cyclists and pedestrians taking photos left me holding back. Deals Gap throws your car off balance over and over again. I’ll be the first to admit that I’m scared of the driving dynamics of an old 911 and the technicality of the road unnerved me. While the road seems like a story written with blanks just waiting to have “911” written in, the reality is sadly different. Taking advantage of the banked turns and quick dips and dives is difficult with so many distractions. I wanted to push my car harder, but I never had the chance. Often touted as the best road in America, I can see the potential but unfortunately it didn’t live up to the hype. While worth a look, there are far better roads for the enthusiast in the area. After stopping for a few photos we continued on south on 129 to my destination in Helen Georgia, home of the Southern Worthersee VW show. Thousands of european cars converge yearly on this small Austrian style resort town. Along the way the roads opened up to what I consider some of the best roads I have ever been on. 17/75 (Unicoi Turnpike) south of Hiawasee GA develops into what is a 3 lane mountain road. Wide sweeping banked switchbacks with undulating crests at the birth of each corner are intermixed with downhill straights that force into steep banked hairpin corners. The sound of my 3 liter engine, M&K R muffler, and SSI headers ripped back at me off the cliff sides. Even though its my job to explain it to you, it’s something I can’t even wrap words around. It left goosebumps on my arms. I smiled, shook my head and laughed to myself. It was just that good. My wife would probably tell you I looked like a little boy smiling to himself while playing alone in a sandbox with toy cars. It is the best toy I have ever owned. The Unicoi Turnpike truncates in Helen GA. Just west of there is Highway 348, and Gainesville Highway: the best roads I’ve ever driven on in America. They offer everything Deals Gap lacks. Quiet and untraveled, they twist around on themselves. Elevation changes that dive into banked switchbacks test your nerve. The scenery, if you have the balls to look around while you are driving, is beautiful. I learned a lot about my car on those roads, and a lot about my driving experience and courage. The 911 chassis handles far better than I am willing to push it. I did drive some of these roads in a pretty dedicated manner, but I didn’t push too hard. I’ve seen photos of what these cars look like when they’ve been turned into recyclable material. It’s a statistic I don’t want to be a part of. Looking back I can see on Google Maps that I likely missed even more great driving roads. I didn’t think to pull out my smartphone. I was too busy enjoying no radio, no ac, and no cruise control in the twisties of Georgia. On the way home, on mile 2200 or so, and despite the flatness, I noted that I love driving through the rural midwest. While I loved the mountains there’s something about being able to see as far as you can. Windmills lined for miles churn out volts as tractors beneath them turn over dark soil to plant summer crops. Many exits don’t have gas, hotels, or food. You are never far from humanity, but still miles from civilization. It’s definitely not a destination I would seek out, but it was a great way to wrap up the trip. 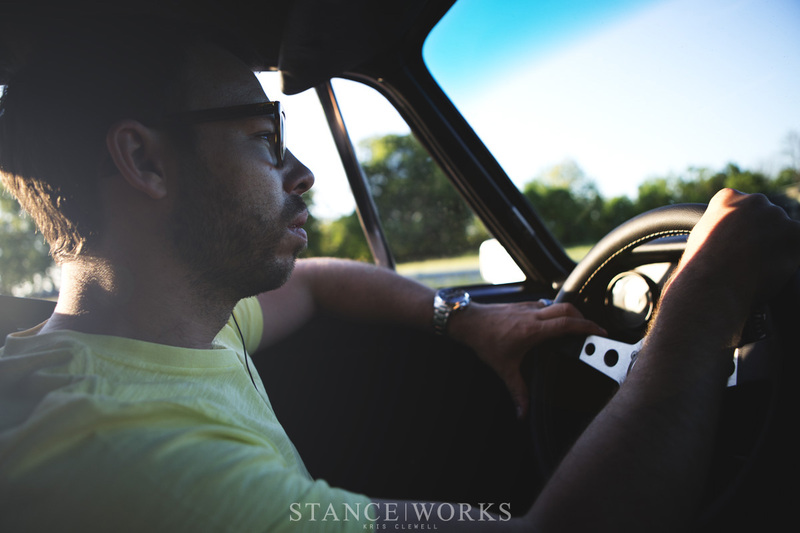 Driving 2500 miles in a 41-year-old 911 with no amenities whatsoever was not easy. I baked a bit in Tennessee, and popped in my headphones from time to time. I even pulled over to stretch my back once or twice. I may even have some hearing loss from not running the silencers I have for the R muffler. There is something about the contrasts of difficult and good experiences that shows us what’s best in life. 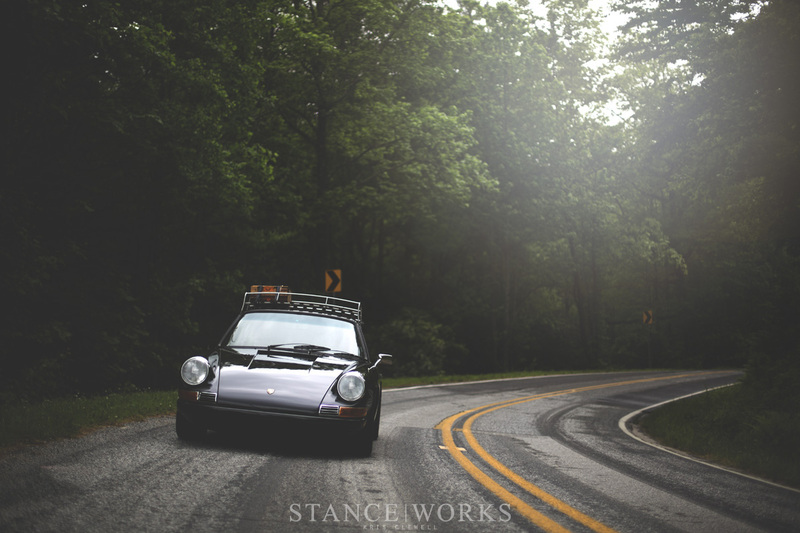 Not because of, but in spite of the hardships, I fell more in love with the early 911 chassis. The driving dynamics of the car that engineers have covered up over decades of “development” are what truly makes it great. Manual brakes, manual steering, and a mechanical throttle body were all that stood between some of the best roads I’ve ever driven, and myself. There were no computers to save me if I blew it. I didn’t have ABS set to kick on if there was a bit of sand I couldn’t see on a blind crest. 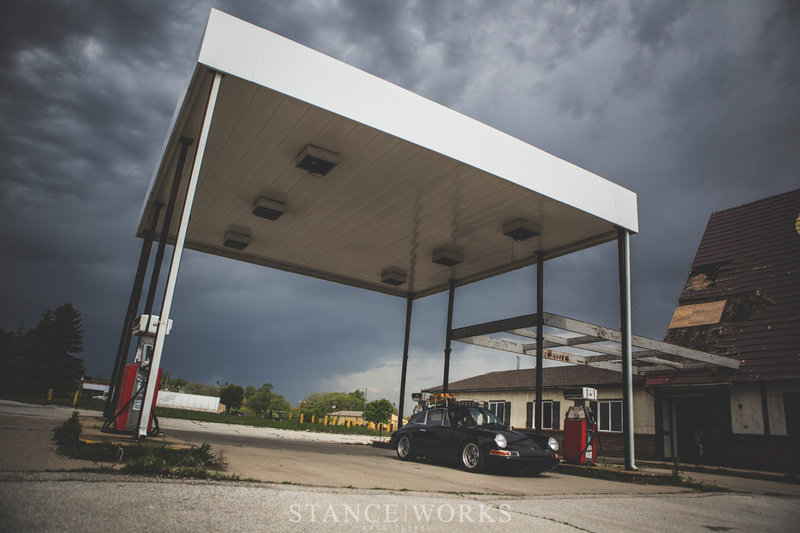 Though danger lurks just beneath the surface of these old 911’s, the car felt nimble, and capable, far exceeding my abilities. It was a life experience that just could not be accomplished by driving a newer car with say, PDK and satellite radio. Manufacturers have been obsessed with numbers for decades. Statistics hunting for safety, track times, and sales have diluted the romance of driver and machine. Perhaps the debate of the fall of motoring and machine is probably best left to another article, but I can say without equivocation there is no another car I would have rather been in than my old 911 that week. The American road trip isn’t dead. It’s there if you’ll have it. There are roads to be found, places to be discovered, and memories to be made. Do yourself a favor. Roll down your window, turn the radio off, shut your phone down, and take it all in. If you feel comfortable in a car, if your seats don’t (budge just a millimeter), if you can’t hear the engine and you can’t switch gears just by the sound of the engine, then you’re not driving a car. More of a carriage, it’s just taking you from point A to point B. If you’re doing 90mph and you can’t feel the sense of speed then you never did need the sensation of driving a car or doing such a trip. I drove a 2106 (1980) Lada threw a 1000 mile trip. It maxed out on 105mph. Coolant started to boil and the radial tires were a pebble away from popping or sliding, thus flipping the whole car. The thin/short car made a sensation of speed not even close to driving 160mph in a modern volvo. When we hit curvy roads, I pushed the throttle just to about 70mph. The feeling, when a cars suspensions is being stretched and then squeezed to its max is great – yes, but the feeling when the squeezed suspension stretches back just at that time when you’re on top of a hill… You achieve lift. I wish I could afford old German engineered cars, but thus I work with what I’ve got. Great read. What a great story! And i absolutely agree – there is just something special about driving and older and simple car, without any extras! I own a 1998 Peugeot 106 Rallye, a small hot hatch with just over 100 bhp to just under 900 kg, no aircon, no ABS, no traction control, no power locks or windows – the only extras in the car is hydraulic power assisted steering and two airbags, and i absolutely love it! I can cruise around in it for hours, enjoying the feeling of driving, controlling the car, feeling the gears engage! Sure, my dads Audi A6 is nice too, quiet, comfortable, relaxing and does everything for you – but that is exactly the problem, it does everything for you..
Cars are more than transportation to many of us. They have souls and personalities. 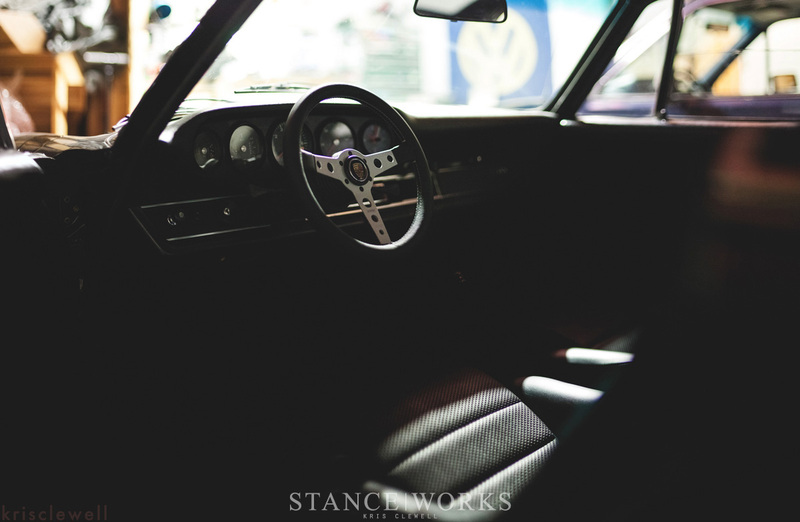 Old Porsches add reliability to the equation which allows for us to viserally experience the cars as they were intended. This allows them to become companions on the journey. This year I sold my vintage 911s. I have been out of sorts ever since. What a great read! 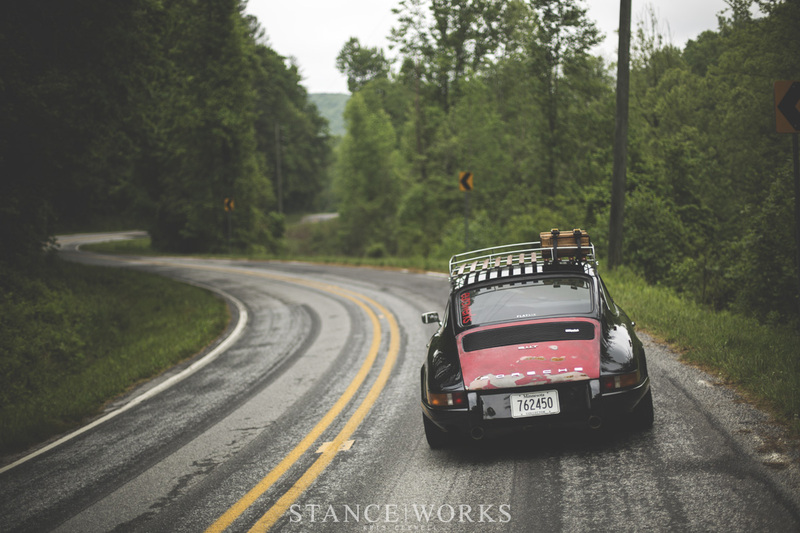 Wish I can do such a road trip with an old skool 911 too! I like the raw machinery and feel. 1 – I was bitching the other day about the AC not working in my Lotus…yes, I’m a wuss and this article reminded me that people used to drive cars WITHOUT AC (and without traction control, without ABS, and without a whole lot of other things). My Lotus doesn’t have much in the way of amenities, but AC is one thing it has. 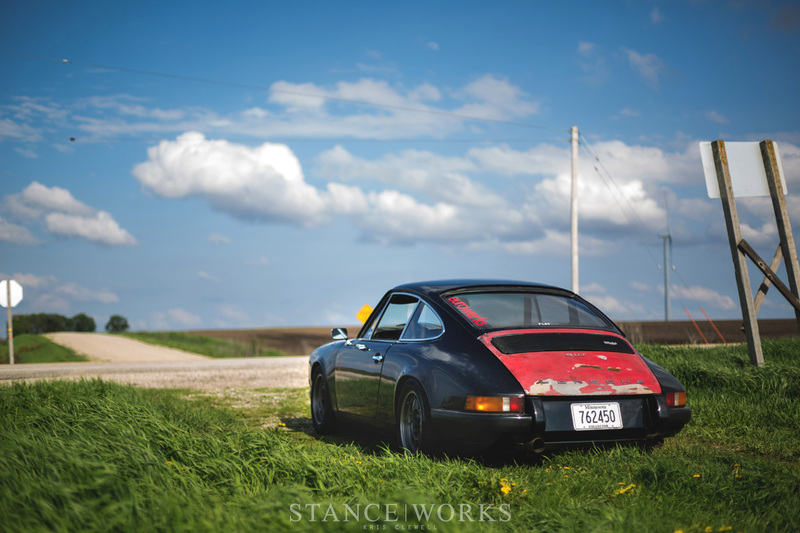 2 – I love old Porsche 911s, especially sorta ratty looking ones like the one in this article, makes me want to buy one for a project. Hit me up if you have any leads! 3 – I fondly remember the road trip I took from San Francisco to Victoria, British Columbia with my wife. It was really fun just to “explore”. Granted, it was in a fairly boring Audi A4 but we still had an adventure. @chiarov chiarov. the car often shows up in total911 magazine in the “living the legend” column I have there. If you are serious about a car maybe email me and maybe I can help you with cars you find. Happy to! my fb is on my profile. @Kristopher Clewell @chiarov Awesome, thank you! I’m still probably pretty far from buying something (no space to keep another car) but always try to keep my eyes out. I’ll definitely reach out if I have any questions. Great machine you’ve got! Love the patina on the rear engine lid! Excellent article. I agree that the best things in life require effort. People seem to forget that in this age. This makes me wanna hop into my crappy e21 with its 2 dead cylinders, unwelded driver’s seat and all and head to the mountains. Excellent article. The car that made me fall in love with Porsches was a black ’72 911T that my mom owned. They are magical. Fantastic article. Great job at capturing the emotions of experiencing the drive with limited distractions. Just you two, the car, the road, and the time to explore some on the way. Great article. I actually saw you driving on thursday, passed you up in my 40 year datsun on the way to tail of the dragon. Your car is gorgeous! Good read, Kris. Just today, I arrived home from a 2500-mile round trip of my own, the destination of which was a car show in Pennsylvania. I felt like you were documenting my road trip, with the exception that I was driving a heavily modified Merkur. My girlfriend was somewhat miserable in the fixed-back buckets and non-defrosting cabin, but I spent the entire trip grinning. Every trip in a vintage automobile is an adventure. You’re an active participant in the environment, rather than a passive observer watching the countryside pass from within a hermetically-sealed, climate-controlled cabin. It’s the same appeal that makes motorcycle touring so alluring. I saw that. the 510 I assume? Kris, this is easily my favorite article I’ve seen on this website. 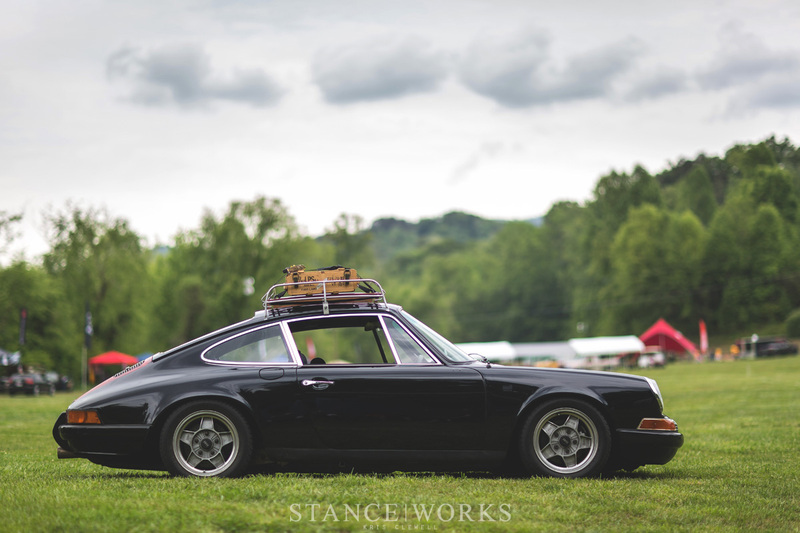 I don’t log on here much, but thanks for making the trip to SoWo and writing something enjoyable to read while I sit here, sip my coffee, and update the blog on the Ohio Valley Region of the Porsche Club of America website! What show are you bringing this to next? Would love to meet up and talk! 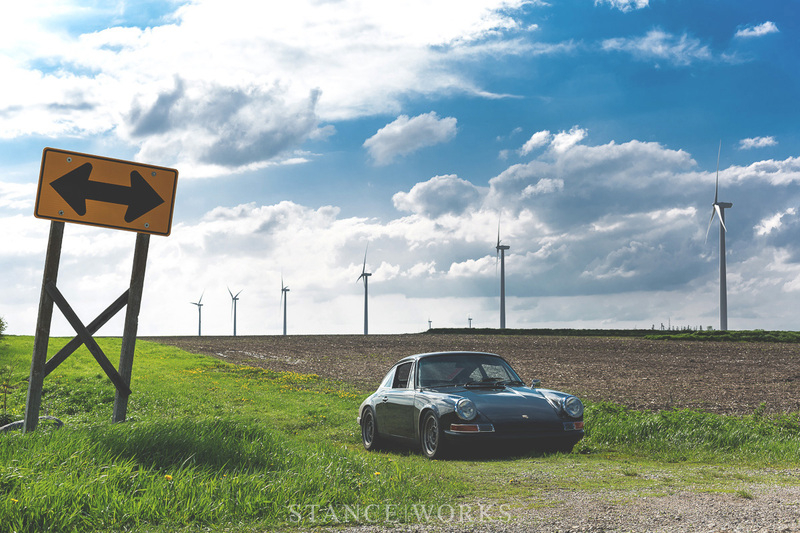 Early 911s are easy to drive quickly as long as you understand the basics of car control, you’re willing to learn and have the suspension set up properly. I’ve driven somewhere over a hundred long-hoods, and always detest the ones “set up for handling” by their unskilled owners and enjoy the ones that are closer to stock. Your car looks like it would have crazy bump steer and the predictability of the car probably suffers as a result. Too many people set up their 911s to look good rather than handle well- and I include some reputable restoration and repair shops in that indictment. You may or may not have bump steer spacers installed, or you may have modified struts to combat this- I don’t know. If you don’t, and you don’t take steps to rectify your bump steer, you’ll never trust the car and people like me will always know it. @SOneThreeCoupe Car is laden down pretty heavily with road trip items. . It does have turbo tie rods and a bump steer kit. It does need modified struts though. I am aware of suspension geometry as it applies to bump steer etc…. Well. I dont really know yet. I’m in the process of rebuilding the engine. I broke a rocker here at home. I probably dont move as fast as most people do when it comes to building things. Rebuilding to a short stroke 3.2. ;) I’m glad you liked the article! excellent article. i like the shot of Grandma’s truckstop/restaurant a lot. been in that exact spot many times before. i like how your focus is on the experience of a road trip and the connection between a driver and auto and how special it can be when you combine the two. i parted out my R32 after sowo and bought a 91 e30. i wanted to get back to a driver’s car and it’s been a refreshing experience. 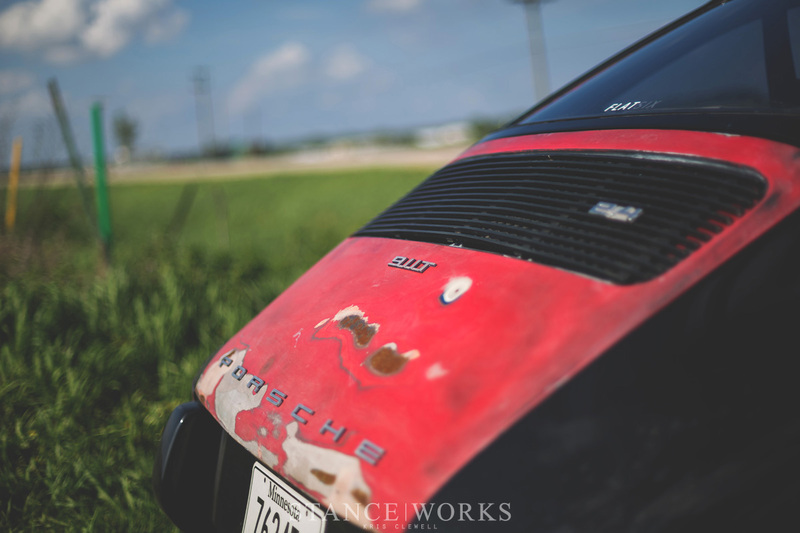 although not as nearly as old as your Porsche, what few amenities it had i removed forthwith. (power steering, ABS, AC to start) i sincerely hope to see you and your car at H2Oi. This was a very pleasant post to read and very informative. I would like to thank you for sharing this post as it has really fab. I like to gain information. At this moment, desired air conditioning and refrigeration services! Our mission is to provide customers with the highest quality air conditioning service, sales and installations at a reasonable price. This piece was fresh, sincere, informative, and inspiring. I live in Atlanta and can appreciate your frustration with the dragon, although I have had some fantastic drives there during less crowded times of the year. I’m a firm believer that you don’t really ever learn or come to appreciate your vehicle until you push it a bit. Driving a 2002 A4 Quattro that is not known for blistering 0-60 times or straightaway sprints, and came away with a new appreciation of how well she seemed to tackle the corners. The 2nd to 3rd gear samba became a dance and the music (like you mentioned) was my exhaust and engine reflecting off the mountain walls and thick trees. Look at this; your writing has me waxing on mountain roads! I have a 5dmkIII and a myriad of different L glass lenses! makes me miss my old 71′ mazda cappella, rotorized. bless her cotton socks i got heat rash smashing it round the black spur in the dandanongs, couldn’t of been happier. Kris, thanks for some great reading. I’m taking my Datsun to ZDayZ at Tail of the Dragon and just found out Worthersee is the same weekend so I’ll be making the stop, thanks for the inspiration. Hey Kris, love the roof rack. Can you give me some info on it. I have a 1979 911SC all original 75K miles that just needs some body work but I have opted to turn it into an everyday driver instead. My 9 year old son in and out of the garage is sure to put some more dings and scratches on it so why bother. I will let you know how it handles the Colorado winters! !